Things here have been REALLY busy in the Art For Arachnoiditis Project Operations Office. The Fiscal Sponsorship contract with the New York Foundation for the Arts (NYFA) has been finalized. Soon our project page will be live there. I will share that link as soon as I have it. 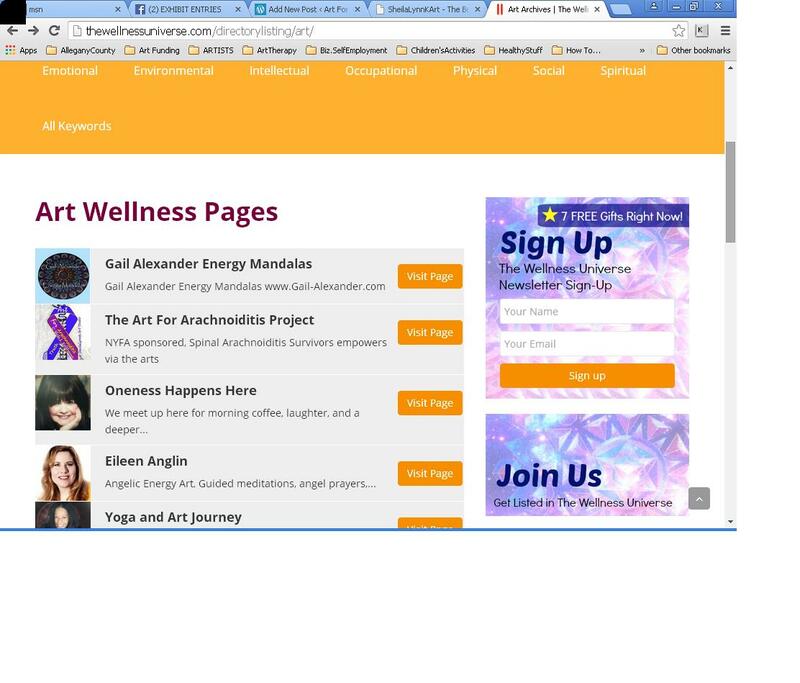 To make it easier for Arachnoiditis Survivors to find us, The Art For Arachnoiditis Project has now been upgraded to a VIP Listing at The Wellness Universe Online Directory of Resources to Expand Your Well-Being. I have been doing a lot of PR & Prep (lesson plans, creating our Healing Power of Art Presentation, seeking product sponsors, and writing our invitations) for the exhibit opening reception and workshop. Registered Arachnoiditis Survivors do not have to pay a fee to attend the workshop. Limited space is available. Please be sure to register. Survivors Planning to attend the Exhibit & Opening Reception and/or Workshop, please contact the Studio; to register and let us know any necessary accommodations you may require at the Fountain Arts Center in Belmont, NY. Workshop Registration Deadline: March 20th. The prints of your entries look amazing! I have just ordered all of the frames and mat boards. I hope the delivery truck can get here. The snow and slush is STILL coming down! With the “Best Book Warrior” ? ….who has been revising and recovering from her own revisions to the publication agenda for the Book Project: Still Standing, Sometimes. She is determined to make this publication a valuable and reputable resource for Arachnoiditis Survival, Awareness, and Prevention. THIS WEEK: Drawing Survivor Portraits will resume between organizing (finding) community volunteers to help paint the Map of the Survivors. As an incentive, volunteers receive B~Arter Bucks from SheilaLynnK Art Studio for participating in the Map-making project. Did you know there are over 186 locations from around the world registered to be displayed on the map so far? Thanks so much to Linda Funsch! She is putting the Arachnoiditis Awareness ribbon stickers on all of the map flag pins. Each location will have it’s own pin with an Awareness Ribbon. The map is scheduled to be finished in time for display at the exhibit. TECH UPGRADES ARE HERE! I am patiently waiting for the “Tech Support Crew Chief” to install them. My own personal aching arachnoiditis entity is not hesitating to add her voice to these proceedings. She attacks at some of the most inopportune moments in the middle of very important tasks. However, I am partially to blame as I have been pushing myself into too much vertical activity (she is very vocal in her objection to this) while waiting for tech upgrades that will allow me to resume doing more of the computer work from a horizontal position. 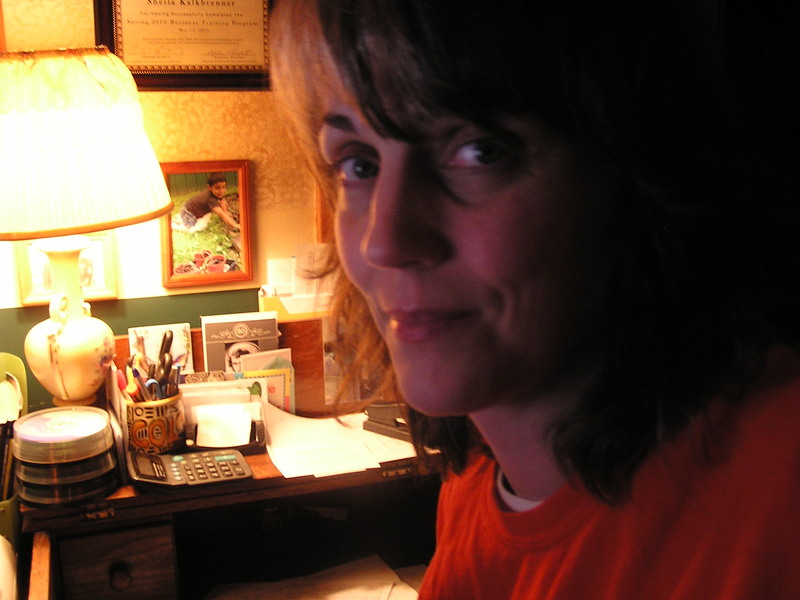 ….did I mention I am also the tech support crew chief at the Art For Arachnoiditis Project? 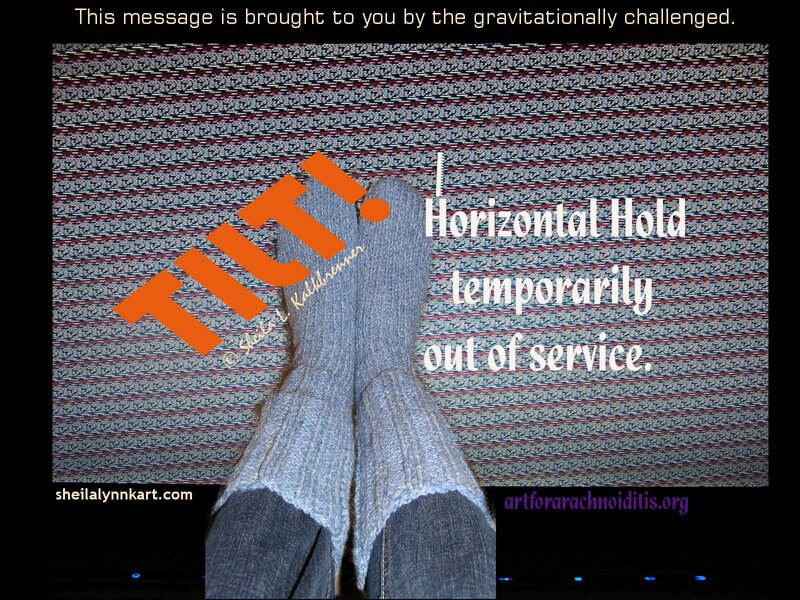 A Message From the Gravitationally Challenged TECH Support Team. and on March 6th…starting Muse Moving Music Friday, a virtual gathering to share and enjoy music appreciation via Youtube and other online music sources at SheilaLynnK Art Studio. Happening every other Friday. Anyone can join us! 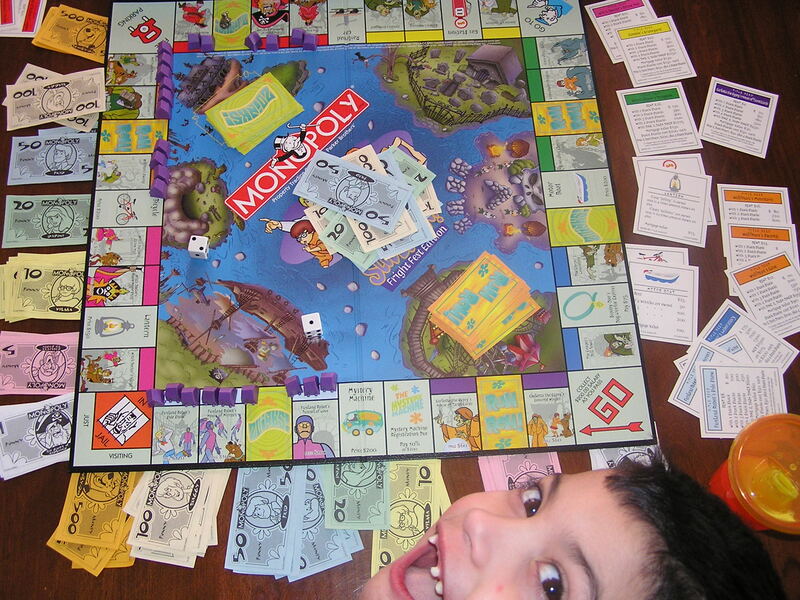 and losing an eleven-day game of Scooby-Doo Monopoly with one of my favorite artists!